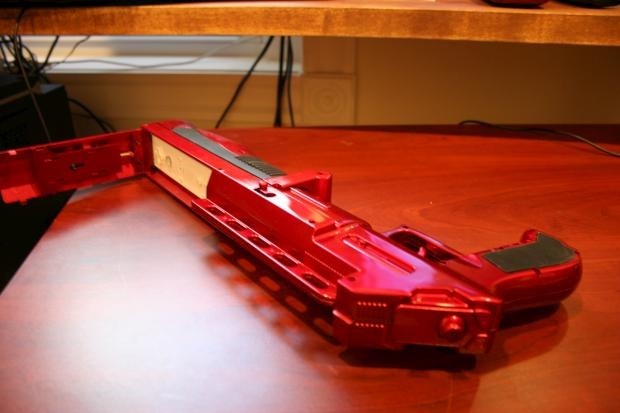 Short Version: Looking for a solidly-built gun accessory for the Wii? This is it right here. Looking for a gun controller accessory that grants you easy access to the D-pad, 1, 2, +, –, and Home buttons on the Wii remote? Keep on moving. I opened up the Innex Buckshot Controller for Wii and was instantly impressed by its heft. This thing’s built to last, with an included Nunchuck fused right into the product itself, a satisfying pump-action barrel, and nice rubber grips all around. 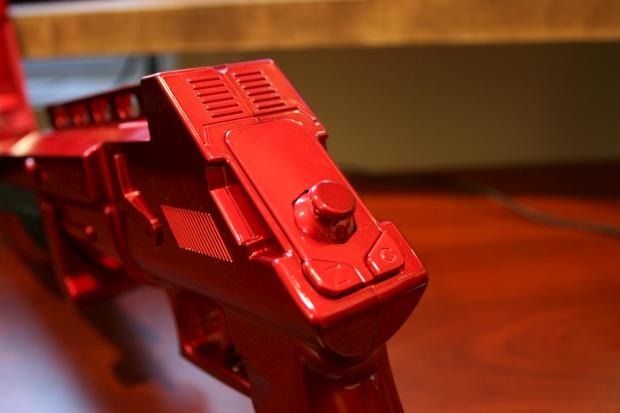 The Buckshot maps itself to the Wii remote by using the trigger as the A button and the pump action on the barrel on the B button. The Nunchuck controls are the same, so the built-in Nunchuck corresponds to the control stick, Z, and C buttons. Sensing an opportunity to buy a new Wii game in the name of work but not wanting to spend too much money, I rushed out to Micro Center and picked up the highly-rated, yet deeply-discounted Resident Evil 4. After all, the gun’s packaging said it was compatible with Resident Evil: Umbrella Chronicles, so I figured I’d keep it all in the family. I got home, fired up the game, and, whoops, I have no way to access the Wii remote’s control pad, 1, 2, +, or – buttons since the Wii remote snaps all the way inside the Buckshot at which point a metal flap folds down to seal the Buckshot up nice and tight. No worries, though, as maybe I can re-map some of the buttons from within the game, right? Strike two – it can’t be done. So in the game, you press and hold B to aim and A to fire which corresponds to half-cocking the barrel of the gun and then pulling the trigger. 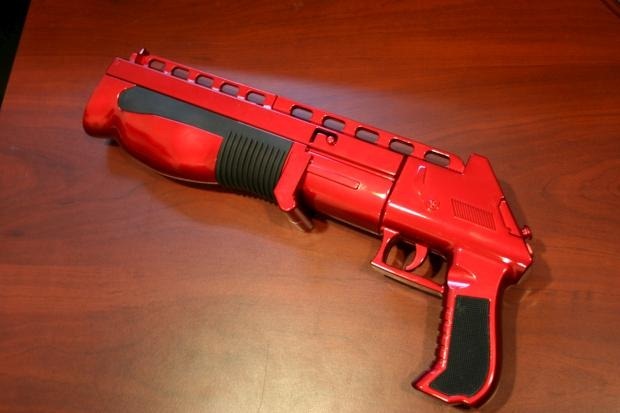 Reloading is done by holding the B button and shaking the Wii remote up and down – kind of tough to do when using the pump-action barrel seems much more straightforward. Also, the 1 and 2 buttons are used for the map and options screen, respectively. I had a lot more fun with Wii Ware title “Wild West Guns” – a simple shooter that features an actual setting for a gun controller (or Wii Crossbow accessory). Trigger shoots, pumping the barrel reloads. Done and done. So the Buckshot is an excellently-built accessory in a sea of cheap and dumb Wii accessories, but you’ll really want to make sure the games you want to play can be completed without using the secondary buttons on the Wii Remote or feature settings to customize your control setup. The box says the gun is “ideal” for games in the Call of Duty series, for instance, but any of the missions that make use of motion controls, and simple things like throwing grenades and steering jeeps and whatnot will present a challenge.